Red Pandas are listed as vulnerable on the IUCN Red List. Bhutan, China (Gansu, Guizhou, Qinghai, Sichuan, Tibet (Xizang), Yunnan), India, Lao People’s Democratic Republic, Myanmar, Nepal. A.f. fulgens: Himalayas and southern Tibet east to Brahmaputra River. A.f. slyani: East of Brahmaputra River in southwestern China in Sichuan and Yunnan, and northern Burma. Temperate climates of mixed-deciduous and coniferous forests with dense canopy and bamboo understory; altitudes between 6,000 and 12,000 feet. Females require tree hollows or other naturally occurring shelters for raising young. Nocturnal; forage on ground at night, sleep in trees during the day. Almost exclusively bamboo. During summer, they may also eat fruit, berries, fungi, and seeds. Occasionally they eat small mammals. The red panda closely resembles a raccoon in size and appearance. It has a shiny orange-red coat with black legs, black underside, and a long, ringed tail. The “tear tracks” on its cheeks are believed to be important in interspecific communication. The A.f. fulgens subspecies is slightly smaller than A.f. slyani. Weights range from 6.5-13 lbs. Home range of a male overlaps home ranges of more than one female. Except for the brief relationship between mother and young, red pandas lead solitary lives. A well developed olfactory communication system apparently serves to maintain spatial organization of home ranges. Mating season is early winter. Births occur in spring and summer; most newborns arrive in June. Litters range from one to three young. Gestation period is approximately 134 days. Several days before giving birth, the female begins to carry nest materials (sticks, grass, leaves) to a suitable nest site. 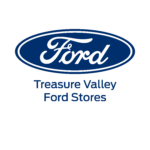 A nest may be a hollow tree or a rock crevice. After birth, females quickly clean their young and remain with them for 60-90% of the time for the first few days. Mothers recognize their young by olfactory cues established shortly after birth. After one week, females spend more time away from the nest, returning every few hours to nurse and groom their young, and to keep the nest clean. The young remain nest-bound for 90 days, making their first excursion from the nest at night. Young and mother share a close relationship until the young becomes aggressive at the onset of the next breeding season. Young attain adult size at 12 months, and are sexually mature at 18 months. Adults rarely interact with each other outside the mating season. During the mating season, scent-markings increase, and the female invites the male to mount her on the ground. Males leave their scent by urinating or rubbing their anogenital area on trees. Males have small or non-existent role in raising and caring for young. Habitat destruction is the main threat. China and Nepal have rapidly growing human populations and their need for timber, fuel, and grazing land have caused widespread loss of forests that support bamboo undergrowth. Deforestation has negative impact on red panda nesting sites (trees) and food source (bamboo). Domestic and feral dogs prey on young red pandas. Poachers hunt adults for their fur and for the pet trade. Skins have been used for hats and the tails for dusters. There are approximately 171 individual red pandas within the SSP. The two subspecies are managed as genetically separate populations. A high priority of the SSP management program is to develop international coordination of red panda breeding and conservation with populations with Europe, Japan, and India. 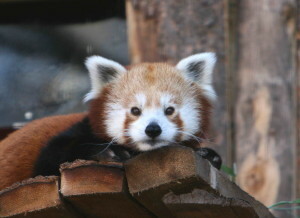 Considerable research on diet, reproduction, and behavior has been conducted on red pandas in zoos and the SSP has supported several field projects. Part of the red panda’s range overlaps with that of the giant panda, so giant panda conservation programs provide some benefits to the red panda. While it has protected legal status over most of its range, these measures are not stringent enough or enforced sufficiently to provide real protection. A recent study in Nepal helped identify many factors in the decline of the panda; similar research, to be sponsored by SSP, is being completed in China and North India. In the past, red panda taxonomy has included them as either a member of the family Procyonidae (raccoons and allies) and Ursidae (bears). Now red pandas are believed to be in their own family, Ailuridae, a separate offshoot of the bear-raccoon ancestral stock. 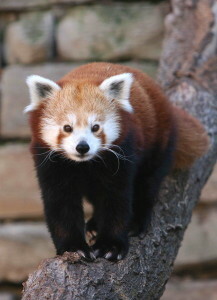 Red pandas are the national animal of Sikkim and the mascot of the International Tea Festival in Darjeeling. Red panda fur provides camouflage against the forest canopy of fir trees where branches are covered with clumps of reddish-brown moss.